HAVE you ever wondered if you're too old for dental implants? Perhaps you feel that your egg timer is the wrong way round and you're concerned about spending money on yourself – will the investment be worthwhile? Will your body be able to cope with the treatment? Is it a selfish undertaking? Vain even? In reality nobody knows how long they’ve got left; however, people are now living longer than ever before. The internal dilemma often oscillates between what's left in the inheritance pot and the daily benefits of enjoying life more when you don't have to worry about eating, talking or smiling. In a large study, an association was found between tooth loss and mortality, resulting from gastrointestinal cancer, heart disease and stroke. So people who can chew properly benefit from a wider variety of more nutritious foods, potentially allowing them to live longer and healthier lives. The fact is no age is too old for dental implants. Dental implants are equally effective in older people, whether 85, 90, or even 95 years old, and heal with the same predictability as in younger patients. The oldest patient I personally have placed an implant in was 102. If implants are financially viable then there really is no reason to suffer unnecessarily through the last years of life with loose dentures or failing teeth. It's disheartening to hear of older people who put off going out for dinner or away on holiday just because of their teeth. So having dental implants which secure dentures or provide the extra support needed for natural teeth really can pave the way for a new lease of life. When someone feels confident eating and talking it gives them back the physical and mental freedom to enjoy social get-togethers once again. So its bye bye to making up excuses and hello to any new social opportunities that present themselves. Obviously as we age we suffer from more general health problems. However, health has to be extremely poor to rule out implant treatments. Also as we get older our jaw bone generally shrinks. 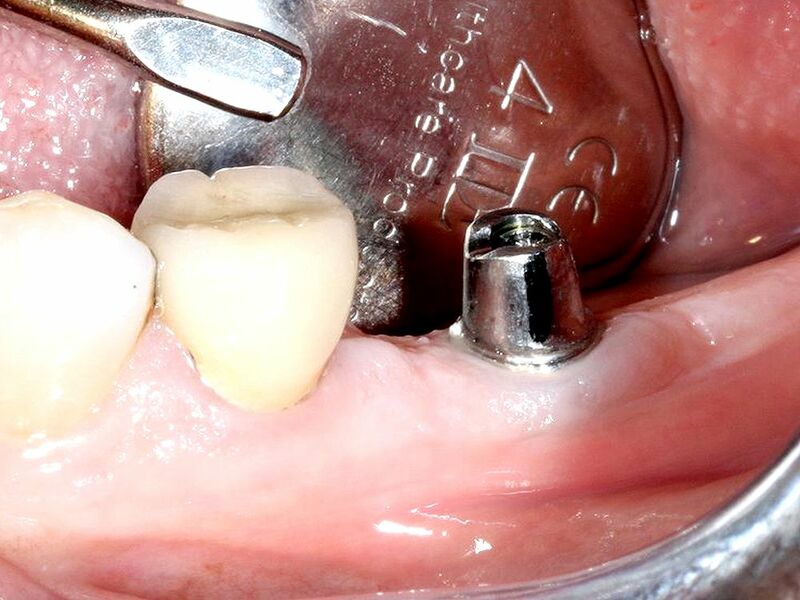 But even when bone has thinned considerably it can be rebulked out again to make implant placement possible. Your implant dentist will analyse your bone structure and assess your medical history to determine whether or not you are suitable for dental implants but as a general rule of thumb most people are.